Prevention is often the best medicine when it comes to avoiding gastroenteritis, a common stomach problem. 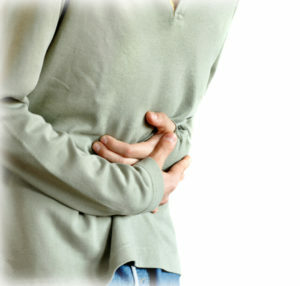 It can be tough to "hold food down" when you're hit with gastroenteritis, also known as stomach flu. Gasteroenteritis, also known as the stomach flu, is an intestinal infection that causes diarrhea, abdominal cramps, nausea or vomiting, and fever. It is often the result of contact with an infected person, or by ingesting contaminated food or water. Most healthy people can recover from gasteroenteritis without serious problems, but the condition is more life- threatening for infants, older adults, and those with weakened immune systems. You should seek immediate medical care if you have a fever higher than 104 degrees F, have been vomiting for more than two days, or show signs of severe dehydration, like dry mouth, dark yellow urine or no urine, and extreme weakness, dizziness, or lightheadedness. Exposure to certain viruses is the most common cause of gastroenteritis. The two main viruses are noroviruses and rotavirus. Noroviruses are transmitted by consuming food or water contaminated with the virus or by direct person-to-person contact. A person with norovirus is contagious for at least three days after beginning to feel ill, and possibly as long as two weeks after recovery. Rotaviruses are the more common among children who get infected by touching infected objects and then putting their fingers in their mouth. Adults can be infected too, but may not have any symptoms. Consuming spoiled or undercooked food also can make you sick—for example, shellfish like raw or undercooked oysters. While recovering from gastroenteritis symptoms, ease back into eating with bland foods like crackers, breads and toast, and bananas. Stay well hydrated. Besides water, you might try clear soda, clear broths, or non-caffeinated sports drinks. Ease back into normal eating. 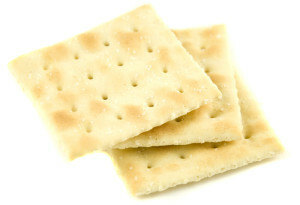 Begin with simple, easy-to-digest foods, such as crackers, toast, bananas, and rice. Avoid certain foods for a while. Foods that may upset your stomach include dairy products and fatty and spicy foods. Also curb your intake of caffeine and alcohol. Get plenty of rest. You will no doubt fee weak and tired. Avoid certain over-the-counter pain relievers. Medication like ibuprofen (Advil, Motrin IB, etc.) may further upset your stomach. You can protect yourself from future episodes by preventing contact with viruses. Gastroenteritis is often referred to as “stomach flu.” It usually results from contact with either norovirus or rotavirus. Wash your hands with antibacterial soap and warm water after using the bathroom and before eating or preparing food. Alcohol-based hand sanitizers (containing at least 62 percent ethanol) can help if you cannot do a thorough wash.
Wash fruits and vegetables before eating them, and thoroughly cook oysters and other shellfish. Avoid sharing eating utensils including glasses and plates. Try to avoid close contact with anyone who has the virus. Use a bleach-based household cleaner to clean and disinfect any surfaces after an episode of vomiting or diarrhea. Wear protective gloves when handling soiled material to avoid spreading the virus. They should be washed with hot water for the longest machine cycle length. abdominal cramps, alcohol, antibiotics, caffeine, causes of gastritis, children, cramps, dairy, dehydration, diarrhea, dizziness, flu, food, gastritis, gastroenteritis, gastroenteritis symptoms, infection, pain, pain relievers, recovery, stomach flu, tired, vegetables, virus.